David Beckham shocks fans with gruesome photo on Instagram – but it's not what you think! "Rough day at the office", David Beckham captured this recent Instagram snap. And he's not kidding! 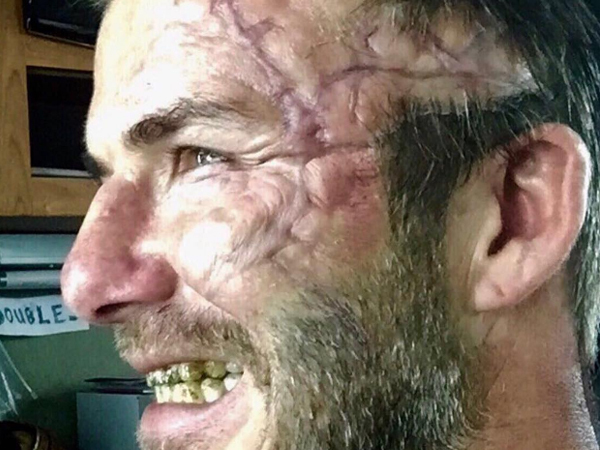 The gory picture features a man who looks nothing like the beautiful Becks we know and love, complete with painful-looking puckered scar and rotten teeth. The 41-year-old British has a cameo role in Guy Ritchie's upcoming movie, King Arthur: Legend of the Sword. The movie, which stars Charlie Hunnam and Jude Law, to be released in May. David’s character is the "disgruntled knight", ET Online reports. This not the first time David has had cameo role for one of Guy Ritchie's films – he also appeared in A Man from U.N.C.L.E in 2015. While he's also appeared in plenty of ads over the years (in various states of undress) the father of four has admitted he's wary of jumping into acting. "I know that it is a tough profession, where you need a huge amount of skill and discipline, and I wouldn't want to push myself forward too soon, without learning more about it, and doing a lot more practice.," he told The Times.